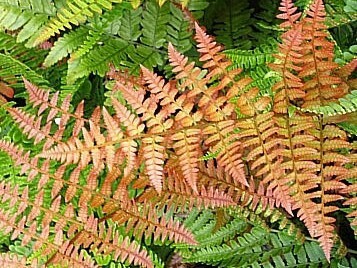 A colourful fern with rosy red new fronds mostly in spring and yellow green leaves in winter. This particular variety has a stronger and longer lasting colour than the species. An excellent garden fern, will take full sun in moist soil. Excellent as an indoor container fern where leaves will be a darker green.